Although to varying degrees of autonomy, awareness, and effectiveness over time and issues, European institutions have been engaged in internet governance and policy-making since at least two decades. Both the European Union and Europe as a region have generally played a crucial role in shaping the governance of the internet, at the global, regional and national levels. From a geopolitical perspective, the EU has been one of the early actors advocating for the internationalisation of the DNS system and, more generally, for the enhancement of the multi-stakeholder governance model. From a normative point of view, EU institutions as well as Member States have deeply affected highly sensitive internet-related issues, such as privacy and data protection, digital market competition, consumers’ rights, copyright, e-commerce, content regulation, the right to be forgotten, etc. On the institutional level, some of the most interesting cases of recent constituent policies have emerged from the European Union, leading to the establishment of new agencies such as the European Network and Information Security Agency (ENISA) and the European Data Protection Board (EDPB). Beyond the EU, some European intergovernmental organisations, such as the Council of Europe (CoE), have developed structured initiatives to uphold human rights, democracy and the rule of law on internet governance issues. Further, a number of European initiatives, such as the European Dialogue on internet Governance (EuroDIG) and the Global internet Policy Observatory (GIPO), have facilitated the transfer of ideas, knowledge, policies and institutional arrangements towards other countries and geographic areas. Finally, European NGOs as well as some European internet companies are currently advancing alternative visions and values about the internet and its governance, enriching the set of internet governance approaches as well as available design options. The third edition of the European Multidisciplinary Conference on Global Internet Governance Actors, Regulations, Transactions and Strategies (GIG-ARTS 2019), will be held exactly twenty years after the entry into force of the Amsterdam Treaty and ten years after the Lisbon Treaty, which are milestones in the history of the European integration process, preparing the EU for enlargement and further deepening of competences, and reinforcing the centrality of democratic principles and the protection of fundamental rights as the Union’s foundation. 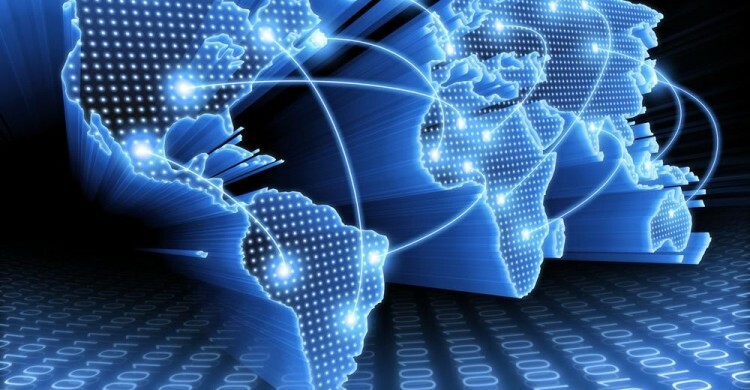 After having addressed “Global Internet Governance as a Diplomacy Issue” at its first edition held in Paris in 2017, and “Inequalities in Internet Governance” at the second edition held in Cardiff in 2018, the 2019 GIG-ARTS conference will explore the role of Europe in the global governance of the internet. In particular, the conference will focus on challenges and opportunities, as well as strengths and weaknesses, of European approaches to internet governance and policy-making. EU values, European internet companies, and internet design. Authors are invited to submit their extended abstracts (no longer than 500 words), describing their research question(s), theoretical framework, approach and methodology, expected findings or empirical outcome. Submitted abstracts will be evaluated through a peer-review process. Authors of selected submissions will have the opportunity to submit their full manuscript for publication. The conference will be held at the University of Salerno, on the campus of Fisciano. Registration fees are 100€ for regular participants and 50€ for students showing proof of status. The conference fees include a participant kit as well as coffee breaks and meals.